MTN Eswatini managers have made an undertaking to be physically available to address all kinds of customer questions and complaints in the different service centres and connect stores within most of the strategic outlets in the country. The company’s management will also be serving customers in MTN shops, kiosks, and Mobile Money outlets.This bold step is meant to demonstrate that MTN Eswatini is on the side of its customers, hence the company’s commitment in availing its top team to engage with customers, including getting any kind of feedback from the public. Acting Chief Executive Officer Sibusiso Nhleko said the company sought to ensure that its customers know that they have their best interests at heart. “We are cognisant of the fact that humans tend to buy services from entities that provide them with good quality services and those with their best interests at heart. We want our customers and service providers to know, and personally interact with the company’s management. This will help us to identify challenges and engage with individual customers to acknowledge issues they face, determine solutions, and provide personalised service to solve customers’ issues,” he said. This will enable the company to identify and resolve service impairments, respond to customer pain-points much faster, and create a premium service experience for them. “This will further enable us to profile our customers, get continuous feedback, measure our customer service levels, build trust, and continue improving customer satisfaction,” said Nhleko. 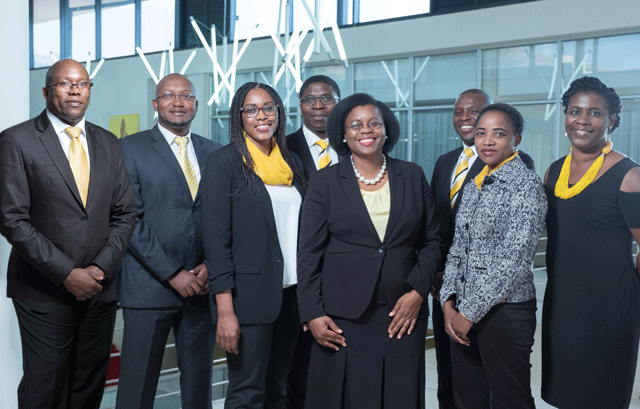 This initiative was initially tested in October, where MTN’s leadership took to the market place, and was eventually taken up to scale in November, with a view to proceed into 2019. Beyond just being on the ground to provide superior customer experience, this campaign is anticipated to help the company accelerate efficiency in the handling of customer queries. It will further drive the company’s transformation from network to customer-centric operations to improve the overall experience for its over one million customers.